The article, “How many types of Khasis are there” by Bhogtoram Mawroh (ST Aug 25, 2018) was informative and educative as well. My congratulations to him and I request him to continue writing more such articles in this newspaper and other print media. In paragraph eleven of the article Mawroh has mentioned seven sub-tribes (types) of Khasis- the Pnar, the War, the Khynriam, the Bhoi, the Maram, the Lyngngam and the Diko according to their geographical settlements. However, according to my knowledge and experience and after verification from several sources I came to know that the Diko are not Khasis. In fact they are Garos and their geographical settlement is different, their language and customary practices are also quite different. I request him and the readers to take note of this. Apropos to the report, “HYC asks PWD to repair West Khasi Hills road”(ST August 30, 2018) as a son of the soil I would like to affirm and reiterate this truth. Prior to the Assembly elections this writer has called on voters to exercise their franchise conscientiously. For better or for worse they have done that. A new figure rose to the throne. There was great anticipated hope. There was a sigh of relief. However, our joys are slowly turning into bitter pills. I hope it will not choke us to death. The reality remains the same. The sun has not risen even after six months. Our worst plight are the dilapidated and pathetic road conditions everywhere we turn. Where is the PWD? Where are our leaders? It appears that the various government departments and our leaders do not care at all about us. Enough is enough. We cannot be blind and remain dumb forever. I fear that we might have a French Revolution in West Khasi Hills very soon if this step-motherly treatment continues. 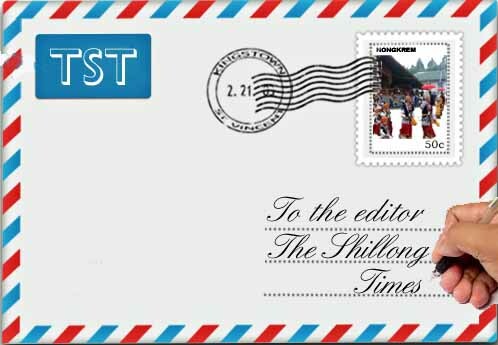 Meghalaya faces multiple problems ranging from unemployment to financial crunch which the Chief Minister recently admitted in a candid interview with this newspaper. Then comes the meaningless Lineage Bill which degrades the dignity of women and their contribution towards many socio-economic sectors across caste, creed or religion. There is a saying, ‘Old is gold.’ I write this on behalf of those who have served the government and given their precious lives to that service and to the society in general, which includes my father who retired from service recently. These retired employees have been overlooked time and again and their pension delayed. Is this how Govt pays back its own employees? The book Factfulness by Hans Rosling describes our tendency to play the blame game. Here I would not like to do the same and blame the Public Works Department(Roads) which my father served but wish to point to the causes of failure of the Govt. There is gross mismanagement, lethargic staff and overall systemic breakdowns. Sometimes these happen and cannot be stopped by why are they allowed to happen? Nepotism and favoritism are still a major part of the system. Solutions are not easy but one way of curing this malaise is to find the root causes such as ‘deadwood’ operating with minimum output. Such employees should be penalized and turned into a productive workforce. In this age of Big Data and advanced computing it is time that Govt uses technology to streamline its functioning thereby setting a benchmark for the coming generation instead of beating its chest to save the community from vanishing. The arrests of rights activists across the country is a grim reminder of the dark days of emergency. The present government is leading our country on the wrong path and hounding those fighting for the rights of the marginalised, with the intent of crushing dissent. The Government is diverting the attention of the citizens from core issues in our country such as population, water crisis, unemployment, garbage and sewage management etc. Now whether the arrests will stand legal scrutiny remains to be seen. It has been seen that most such cases fall a apart in court due to lack of evidence but after costing a huge amount of precious public resources. Though your newspaper I would like to thank the two Rotary Clubs based in Shillong for making the effort to continue with the Marathon at Sohra. This will help in putting the State of Meghalaya on the marathon map of the country and the world and thereby give due recognition to the potential of the state runners. It was a well organised run and the participants enjoyed it thoroughly. I hope they come up again with a similar event soon. Best wishes the members of the two clubs.